Initiated in 2013, the YES Bank Natural Capital Awards (NCA) strive to recognize individuals, organizations and institutes, who have given paramount importance to natural capital preservation. NCA 2018 aims to make the conversation around natural capital a mainstream phenomenon by focusing on photography in some of its categories. They believe that the medium’s versatility as an art form and a tool for documentation can be utilised to impress upon society the urgency of nature conservation. Through it, they hope to enable a positive change in the struggle for protecting nature and wildlife. All Indian photographers, including professionals as well as amateurs, passionate about the beauty in wildlife and nature photography can participate in the contest under the individual category. Organisations and Institutes who are leading efforts for natural capital conservation and preservation are also encouraged through the competition to apply their natural capital conservation projects under the corporate category. The theme aims to throw light on the incredible diversity of nature and wildlife through single images. It seeks to highlight captivating pictures of nature and wildlife which communicate a strong message for natural capital conservation. It is accepting entries from individuals only. The photo submissions will be judged based on criteria including, but not limited to relevance to the theme, originality in terms of concept, clarity of expression, visual composition, and level of detail. Participants are required to submit a skillfully crafted photo essay with a compelling narrative. By creating an engaging storyline, the awards aim to further impress upon audiences the significance of biodiversity and the importance of conservation efforts to protect endangered wildlife and ecosystems. The series of images must convey a message on natural capital. Applications will be shortlisted based on a comprehensive scoring system against a detailed criteria including, but not limited to appropriateness to theme, strength of the storyline, clarity of expression, composition, consistency in the standard of images in the submitted portfolio, level of detail and expertise. In an effort to create awareness around the environmental threats facing the river Ganga, a special category has been introduced to NCA 2018. Through this, YES Bank strives to demonstrate unwavering support towards the restoration and rejuvenation of Indian rivers and invites photo submissions to showcase the beauty of the Ganga and the diverse ecosystem supported by her. Submissions will be judged based on relevance to the theme, originality in terms of concept, clarity of expression, visual composition, and level of detail. 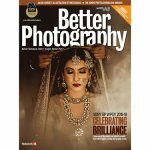 Rewards: Photographers have a chance to win up to Rs. one lakh and organisations and institutes are given recognition for their efforts. 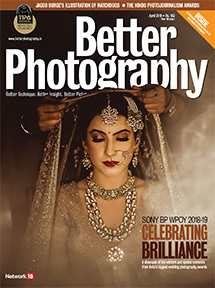 Better Photography has partnered YES BANK for the Natural Capital Awards 2018.